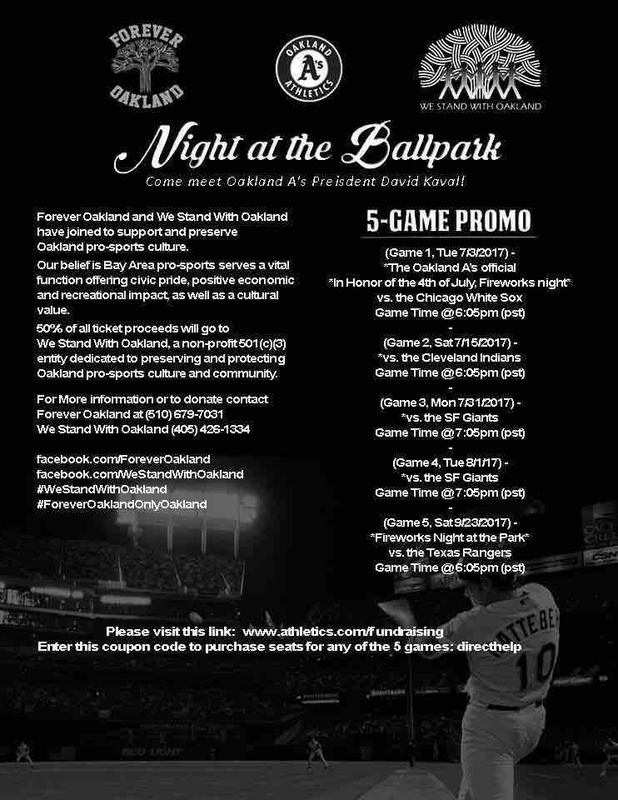 Our mission is to raise funds and public awareness in support of a grass roots, “Community lead” effort, to keep professional (NFL) football in Oakland; and in the East Bay Region. Our community founded the "Oakland Raiders" name through a radio broadcast show in 1960 and a culture was born. Named by the Merchant Marines, Maritime Sailors, and Longshoremen that came here to work, the name was inspired by the pirates encountered at sea. The greater Oakland - San Francisco Bay Area community has shown an unwavering and unprecedented loyalty to the team (and league) since our inception and has grown to be a brand recognized worldwide, which we built in Oakland. Our community’s blue collar culture, known for strength and toughness grew synonymously with the team’s fanbase culture into something much larger than professional football. When one thinks of “Raiders”, its naturally and consistently associated with Oakland. Its about a culture, a community, an identity and the future of the East Bay Region. We will use your contribution to execute a legal and public relations strategy, that will help us in our objectives to prove our communities ownership of the "Oakland Raiders" name and to secure an NFL expansion franchise here in Oakland, if necessary. Your contribution is directly to a non-profit 501 (c)(3) organization and is fully tax deductible. This past Friday the most recent Joint Powers Authority meeting was held. For those who don't know they are the governing body who manages the Coliseum site in Oakland. 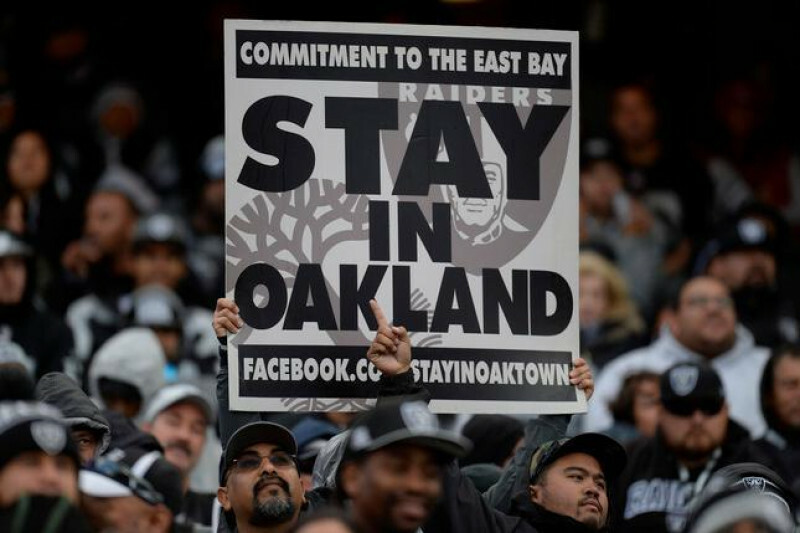 They are considered one of three municipalities with an opportunity to join a complaint against the NFL and the Oakland Raiders. In this session, our item was on the agenda as a discussion topic to determine the JPA's position and future role in our goal. The item was not actionable in this session, but we believe it will be, at the next session held where they will lend their support. We feel positive that we will be successful and achieve our goal. Receiving the votes needed to make history, as the first community lead initiative against professional sports team relocation. We appreciate your support thus far but we are just starting. We need your help to spread the word for awareness and your funds help with operational costs to keep the fight going. Your donations are tax deductible and you can take pride in knowing you changed the game, made history and changed the business of professional sports and tax payer extortion. We have the best attorneys in country fighting for us and we will win! Be on the right side of history! We received unanimous approval for the JPA to add to their July agenda discuss participation and support on the We Stand With Oakland movement! This is a BIG step in the right direction!